I am tired with having my server in TMNet Netmyne. The server connection having intermittent problem since evening until night. I have wrote complaint email to TMNet Netmyne data center but there is not reply from them until now, today. I really hate with their “come if you like, go if you don’t” attitude. I have made my decision, move my servers to awarded Best Data Centre Service Provider of the year in Malaysia – AIMS (Applied Information Management Services). No more headache. Beside that, I would like to make an announcement here. Server will be down/unstable during moving to new data centre – AIMS. y don’t you put your server in AIMS from the beginning ? Hi Hi, may i know how to buy a server and co-lo it in data centre? Doney, buy a server from low yat. 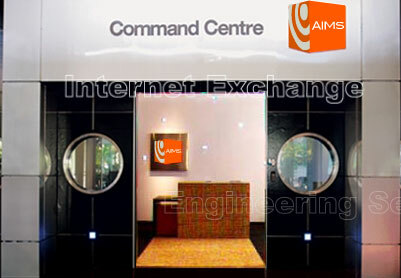 Pay RM1000/month co-locate in Data Centre. woah, RM1000 per monthly har? so expensive? Hehe.. no lak, if you want, can choose Jaring. RM300/month or less, depend on your usage. I’m really happy with Jaring so far. Forget to mention Jaring. Another good place to co-locate. Jaring VS AIMS, which one more better? Actually Order dedicated server from exabytes and they colocated at TMnet, is it right? when server down, or network problem is it TMnet data center problem Not Tmnet streamyx problem and exabytes problem? yeah.. my company also decided to move server to AIMS. Previous PostPrevious Japan Go Go Go! Next PostNext Gen2 + Savy = NEO?